During the 26 June launch attempt, there was a launch abort at T-6 seconds, followed by a pad fire about ten minutes later. Commentary: "We have a cut off." "NTD we have a RSLS (Redundant Set Launch Sequencer) abort." Commentary: "We have an abort by the onboard computers of the orbiter Discovery." "Break break, break break, DLS shows engine one not shut down." "You want me to shut down engine one?" "We do not show engine start on one." "OTC I can verify shutdown on verify on engine one, we haven't start prepped engine one." "All engines shut down I can verify that." Commentary: "We can now verify all three engines have been shut down." "We have red lights on engines two and three in the cockpit, not on one." "All right, CSME verify engine one safe for APU shutdown." "If I can verify that?" "OTC GPC go for APU shutdown." "We have indication two of our fire detectors on the zero level; no response. They're side by side right next to the engine area. The engineer requested that we turn on the heat shield fire water which is what could be seen spraying up in the vicinity of the engine engine bells of Discovery's three main engines." While evacuating the shuttle, the crew was doused with water from the pad deluge system, which was activated due to a hydrogen fire on the launch pad caused by the free hydrogen (fuel) that had collected around the engine nozzles following the shutdown and engine anomaly. Because the fire was invisible to humans, had the astronauts used the normal emergency escape procedure across the service arm to the slidewire escape baskets, they would have run into the fire. Changes to procedures resulting from the abort included more practicing of "safeing" the orbiter following aborts at various points, the use of the fire suppression system in all pad aborts, and the testing of the slidewire escape system with a real person (Charles F. Bolden, Jr.). 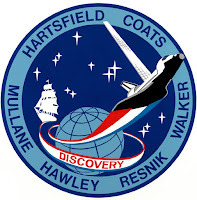 It emerged that launch controllers were reluctant to order the crew to evacuate during the STS-41-D abort, as the slidewire had not been ridden by a human. Examination of telemetry data indicated that the engine malfunction had been caused by a stuck valve that prevented proper flow of LOX into the combustion chamber. 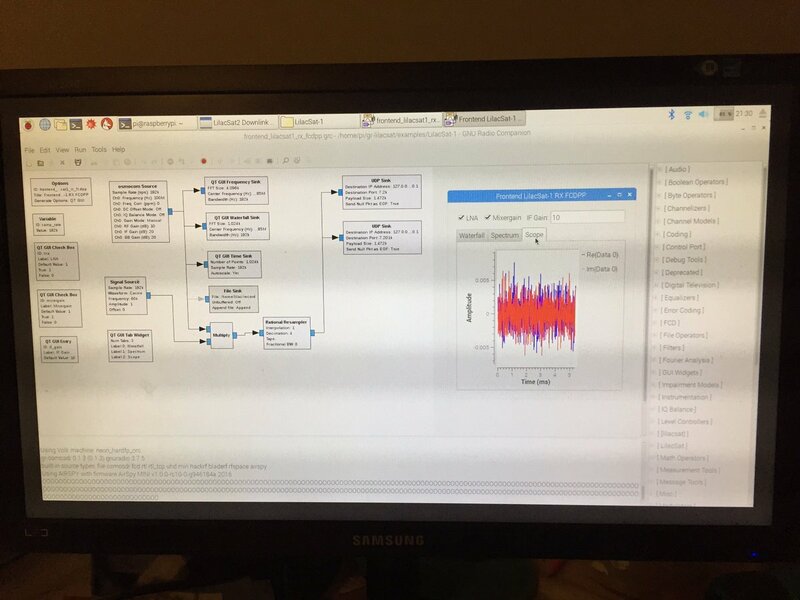 We spent some time installing and testing out fitting all the GNU radio and demodulators onto a pi image. As you know we have been playing around with FM and SSB voice satellites for a good few months now. This has a unique FM uplink and codec2 digital voice down. So how complex is it going to be to try and decode and listen to this digital voice? M6SIG has put together all the tools you need on a live Linux CD. Firstly you will need to verify and decode the GPG image file above, this is a little bit complex and need some knowledge of Linux command line to help. you will now have an iso file which you can burn to DVD or use in VMware / Virtualbox. Double click on frontend_lilacsat1_rx_fcdpp.grc, once it opens click the green triangle on at the top of the window to start it. Keeping the waterfall window on top, shrink the frontend fun cube layout page. You can repeat the same with the LilacSat-2 folder, ensuring LilacSat-1 is totally closed down. 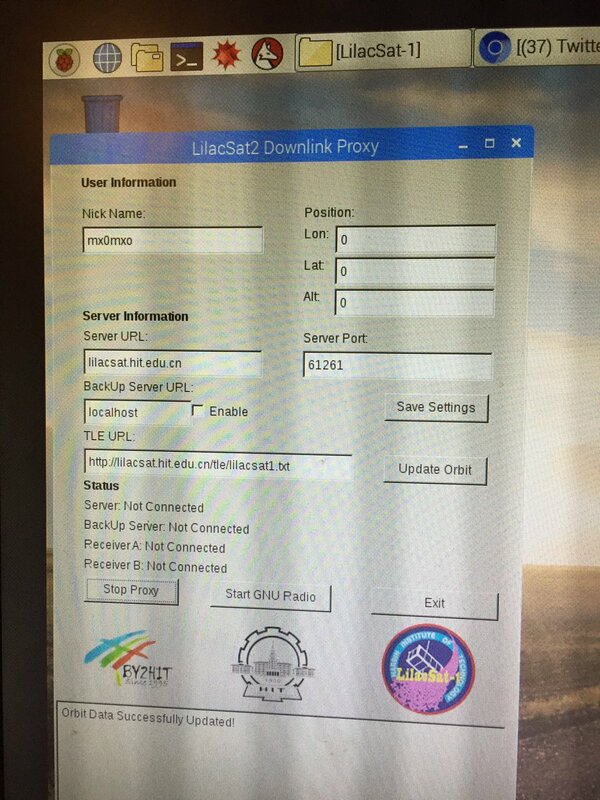 setup proxy, start proxy and fill in details update data etc.